Whenever you see someone in uniform, extend a simple word of gratitude or a small act of kindness to show how much their service means to you. If you know someone currently stationed overseas, get his or her address from a family member. Or, contact a nearby base or an organization like Blue Star Moms to identify troops in need. Research online what veterans need. On Veterans Day post a photo of a veteran or service member in your family on social media and tell what their service means to you. If you don’t have a local Veterans hospital, contact a local nursing home to find out if there are residents who are veterans. Visiting with veterans is a great way to brighten their day. Take a meal to a service members family or a platter of cookies for a special treat. See if there is a Build Homes for Heroes organization in your area and volunteer. Build Homes for Heroes builds modified homes for veterans that help them live independently. These homes are provided at no cost to the veterans. The organization also provides financial planning services. More than a third of veterans returning from Iraq or Afganistan have or will experience post-traumatic stress disorder. (PTSD) Puppies Behind Bars is a program that trains prison inmates to raise service dogs for wounded war veterans and for first responders with PTSD. 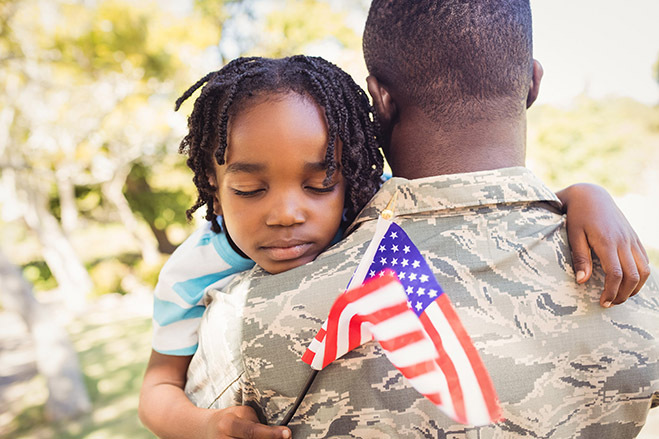 Here are a few more ideas on how you can make Veterans Day more meaningful in your community. Why do we celebrate Veterans Day on November 11th? Veterans Day first began as Armistice Day and marked the end of World War I. This occurred at the 11th hour on the 11th day of the 11th month. So Veterans Day is celebrated on November 11th, but is often observed on the Monday after Veterans Day.